Christmas Goalkeeper Camps at J4k South Yorkshire. Just4keepers South Yorkshire will be running 2 goalkeeper coaching camps over the Christmas school holidays . The camps will take place at Penistone Church F.C and will be held on Tuesday 20th December and Thursday 22nd December ,they will run from 10 till 3 each day ,you will need to bring a packed lunch plenty of drinks and dressed for the weather. The cost of each day is £20 and a £10 deposit is required to secure your place its advisable to book asap as places are limited and the camps fill up rather quickly . Goalkeeper Camps 20th and 22nd December ,10am till 3pm. It will be held on the Astro turf so appropriate footwear is required NO METAL STUDS . early drop off is available from 9am . 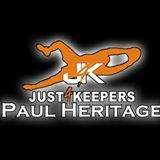 To book your place please contact Paul Heritage on 07921619484 or email j4k.paulheritage@gmail.com.